Have you discovered your decorating style? Are you more classic, rustic, sleek and modern or an eclectic, versatile mix? 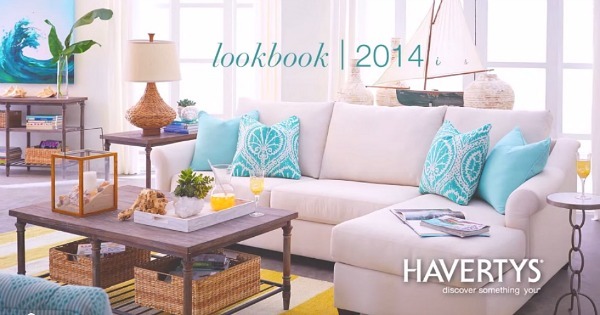 If you are still unsure and would love to explore the different looks and styles that appeal to you then you will enjoy this new, Interactive Look Book by one of my favorite stores, Havertys. There are four signature styles in the look book. Of course my personal style is coastal (as you all know by now), but the style in the look book that most appealed to me Rustic Chic. 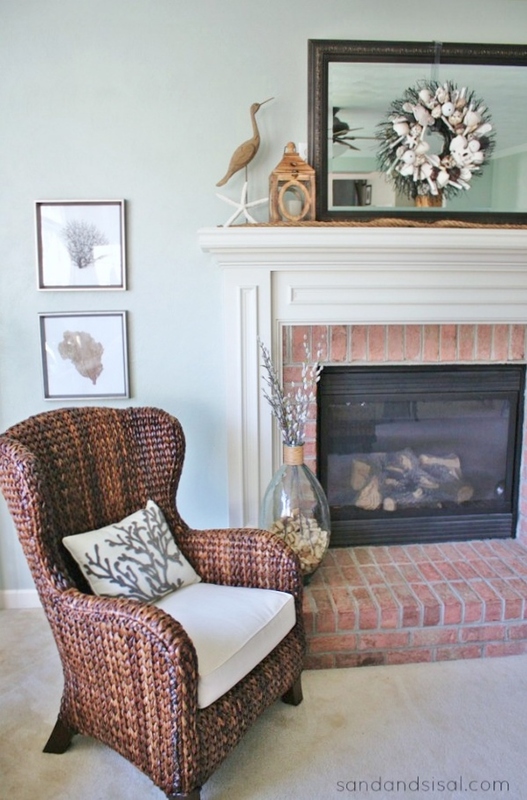 It has a relaxed, casual feel and blends in beautifully with coastal decor. Back in the fall, I attended one of Havertys’ fun decorating workshops and had a little design challenge to decorate different foyer tables in the a few of the styles. 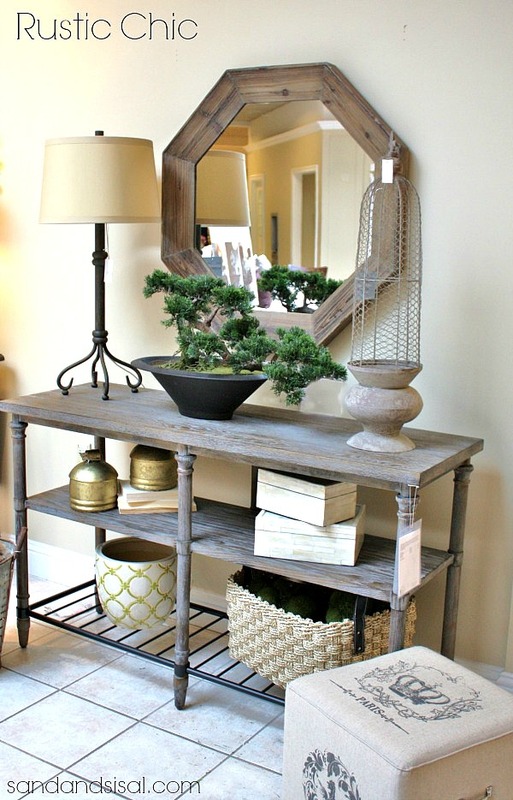 Below is our Rustic Chic foyer table. I love the look! And guess what? You all did too! 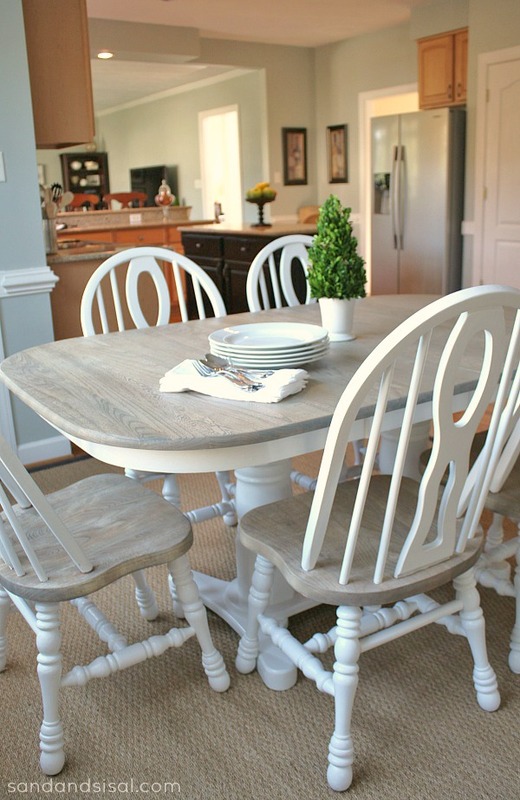 That blog post and especially that Rustic Chic table has been pinned on Pinterest over 5 thousand times! Rustic Chic is obviously a very popular style currently. I think what is so appealing about Rustic Chic is the driftwood and weathered wood tones which speak to a casual, quiet, and comforting style. I’m slowly adding in more driftwood tones in my home, like my weathered oak stained kitchen table that we recently refinished. 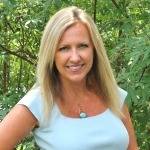 Just like the Rustic Chic look, my style incorporates a combination of multiple natural fibers and textures. 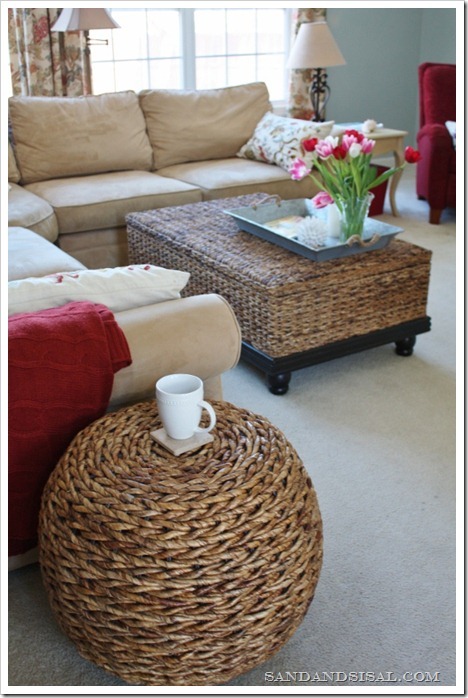 Choose sisal or sea grass rugs, woven abaca chairs, grass baskets, and cotton or linen window treatments. Each style in the Havertys Look Book is highlighted with a beautiful image and you can click on the + icon to learn more about the item, and also to click through to item on havertys.com. Or simply be inspired by the all of the season’s latest trends with their Video Look Book. 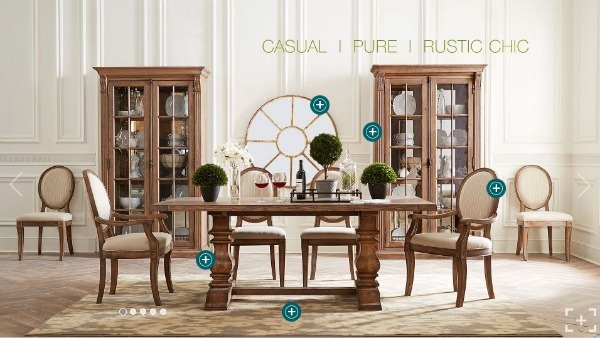 Check out the look book and discover your decorating style! Feel free to click here to learn how to Refresh Your Space with Havertys too.